Are you looking for an easy and affordable way to enhance the interior of your home? Tile is considered one of the oldest and most resilient materials for floors and walls. It’s designer style and long life make it a solid investment for any home in Morgan UT 84050. Tile offers clean, minimalist designs with an array of options for scratch, water and wear resistance. With tile flooring from SLC Flooring, you can add a new, durable surface to your home that perfectly matches your sense of style. From sleek and modern, we have a wide selection of floor tiles that will look great in your home. We are a full service flooring contractor in Morgan serving residential & commercial clients throughout the city. We are locally owned and operated and fully licensed. We provide the highest quality tile floor solutions for you. We make it a point to always listen thoroughly to your issues and only offer truthful and fair responses. We focus on delivering high-grade workmanship using only the best materials, to ensure our customers’ total satisfaction. Our tile flooring specialists care alot about building long-term relationships with our clients. SLC Flooring blends years of training with reliability to make sure that the product you desire is the one that you receive. 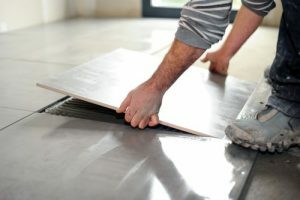 We recommend that you take a look at all the services we provide and learn why we are the trusted option for tile flooring installation services in Morgan and surrounding cities. Our primary goal is to make sure our clients are pleased with the end product. We believe in quality workmanship and won’t compromise on the end results to improve profits. We have one of the best track records in the city so you can be sure your job will get done the first time properly. Call us at 801-515-0047 for a free estimate, you’ll be glad you did. Morgan is a city in Morgan County, Utah with a total population of approximately 9,290. Morgan, which uses the 801/385 area code, is located at 41.010461, -111.678166 at an elevation of 5,068 feet. There are over 2,771 households and on average there are 3.35 people in each household with a median age of 32.1. The average income in the area is $74,069 and the average home value is $264,800.